As a rule, when people are buying a new vehicle, there is an old one waiting to be sold. In most cases these new car owners have two main possibilities: either to trade the old car in at a dealer, or sell the vehicle to a private party. Professionals advise going with the second option because it guarantees better profit in the end. However, trading your vehicle in guarantees simpler and effortless selling procedure. So the question is how to get the most a trade-in and get the desired money. This question we will address in the article to help you make the right decisions for your deal. When you try to sell cars by trading them in you need to ensure that the price a trader offers you is fair. The classic idea in this case is to check several pricing guides as well as selling websites where you can yourself compare the average price of vehicles similar to yours. With the pricing guide you may get a calculating error up to 25%. So make sure to look for vehicles of similar model, year of make, and condition to ensure that you get fair price. Before heading to the trade-in point make sure to clean your car. Same goes for any auto parts. If you do not wash the vehicles thoughtfully and carefully both inside and outside you literally cutting your profit from the total sum. Before you sell your cars you need to make them look at their best, so cleaning and washing them is one of those vital steps to make. But a very important step here is not to repair your cars to make them look or operate better. As a rule, traders think that a car has been in an accident if some of its parts have been replaced. This is an extremely important step to make. 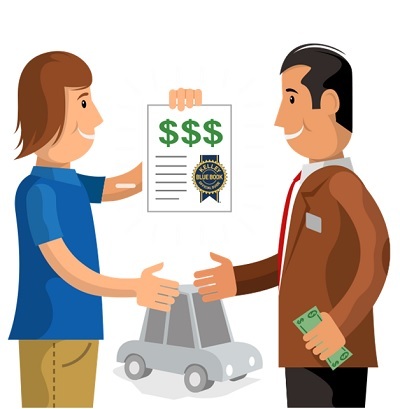 Just as you have been searching for the best price to give your cars, you need to look for the best dealer who will provide you with the highest price. According to experts, you need to get at least three offers for comparison before you go for any of them. In case you are selling auto parts to a dealer, the rule remains intact – get several deals. However, you should understand that the best way to get good and fair price for your vehicle is to go to a dealer selling your car brand and not just any dealership in the neighborhood. By dealing with your cars dealer you guarantee yourself better offer simply because if someone wants to buy specifically Renault, then going into Nissan store for a Renault will be weird and unusual. And the last tip in this article is to communicate with a dealer directly or at least a person in charge. Talking to a mechanic or cleaning lady will make no good to your deal, so do not waste your time and go for big fish from the beginning.